Merv Hughes and barbecue food – a summer match made in heaven. 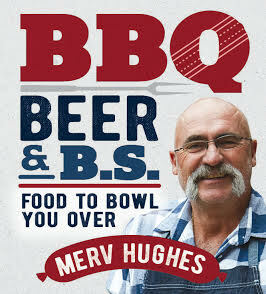 Big-hearted fast bowler and sporting legend, Merv cooks up a collection of his most wanted barbecue recipes along with a side of cricket anecdotes and beer adventures from the cricket star’s career. Just like Merv ripped through batting line-ups all over the world, his recipes will bowl everyone over at your next barbecue.